Blogging isn’t easy. Between worrying about publishing the right amount of content, the best time to publish, and constantly coming up with unique topics, blogging can be extremely overwhelming. In fact, according to the Content Marketing Institute, 57% of B2B marketers say that producing content consistently is their biggest struggle. Constantly coming up with that many creative articles on a daily basis can be draining. However, it is essential if you want to have a thoroughly successful blog. Depending on your content marketing goals, you’ll want to start off posting a couple times a week and slowly increase to one post per day (or more). According to Neil Patel, top blogs such as Forbes and TechCrunch post 1000 – 1500 posts per month. While your average business doesn’t need to post that often, it is important to establish and stick to a consistent posting schedule for your blog. While it’s helpful to have more than one person contributing to your blog content, we know that’s not always feasible. And even if you have a team of content writers, creating quality, creative topics on a daily basis can be draining for anyone. Thankfully, the world wide web is full of inspiration right at your fingertips. 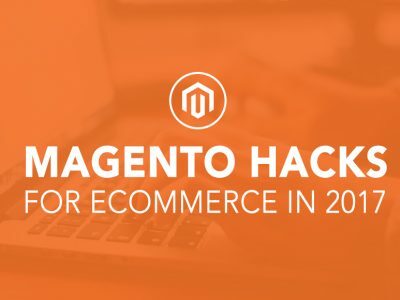 To help make the process even easier, we’ve collected a list of the top blog topic generators available on the web for you. Whether you use the free or paid versions of the tools below, we’re sure they’ll help spark your creativity. One of the most widely-used free tools, HubSpot’s blog topic generator is definitely worth bookmarking. You get a handful of blog topic ideas in just one click — which definitely helps get those creative juices flowing. 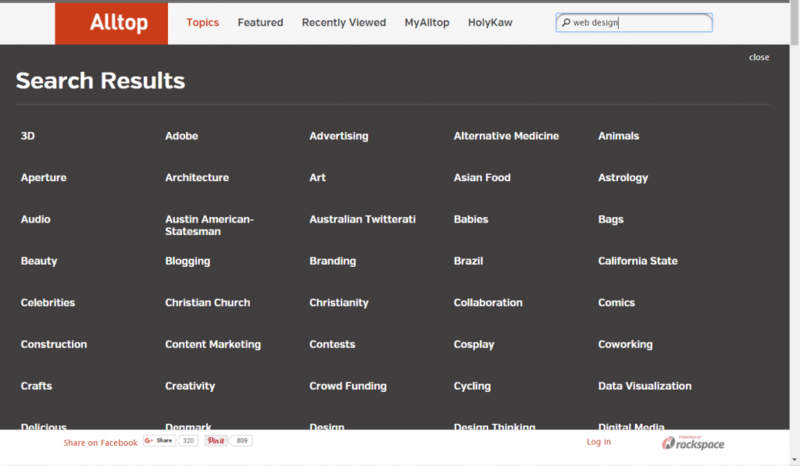 You insert the top three nouns you want your blog post to be about and HubSpot generates a list of relevant topics. For example, we typed in “marketing,” “blogs,” and “inbound,” as you can see below and HubSpot created a week’s worth of blog topics for us. 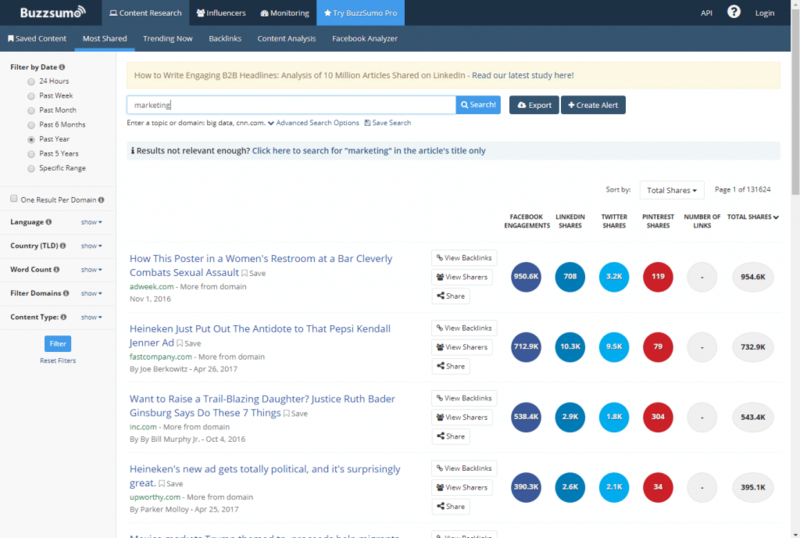 Buzzsumo is similar to HubSpot’s tool, but it does so much more. Rather than just list blog title ideas, Buzzsumo will list the most popular articles on the topic you’re searching. 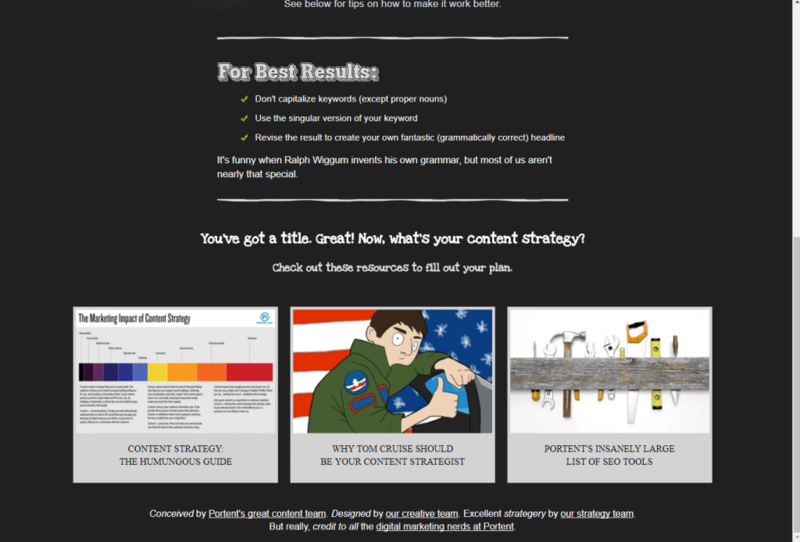 It analyzes what content performs best, so you can see what your target audience is most interested in reading about. On the homepage, you can enter a topic or domain to search, and Buzzsumo will list the top articles relevant to that topic or domain. For example, we typed in “marketing,” and Buzzsumo came up with this list of articles about marketing with the most engagement on social media. This is one of the top tools for generating blog ideas because not only does it give you inspiration, it shows the number of shares and social engagements the content receives, identifies key sharers, displays backlinks, and shows you top trending content. So, not only do you get inspiration for your blog, you’ll be able to see what type of content performs best and resonates with your audience. It’s important to note that the free version limits the number of features you can access, but is still a great tool to utilize. But, if you have the budget, the Pro version is $79 per month — and is absolutely worth it. This topic generator may be a contender to HubSpot’s. Not only does it suggest a blog title, it offers little tips and reasons on why and how said title can be successful. And if you continue to scroll down the page after you search for a title, they offer even more resources to help you take your newly generated topic and create a content strategy around it. Simply type in a keyword or topic of your choice, then click the arrow (or hit the Enter key) to generate! Portent’s Generator will then list a title based on your subject, and explain why each word of the title is useful. If you’re not happy with the first choice it gives you, click the refresh symbol and it will continuously generate blog titles based on your subject. And remember to scroll down for extra help tips on curating your content. Google Trends is used mainly to perform market research and gauge interest on a particular topic, not to specifically generate blog titles. When choosing a topic to write about, however, gathering market data that Google Trends offers can inspire you to take your topic in a new, creative direction or help improve your content strategy. This tool is used primarily for three things: browse related topics, related queries, and gauge interest in topics over time. The related topics can help you identify other influential content you might want to read for inspiration on your own topic. The related queries can help you see what your audience is searching for. 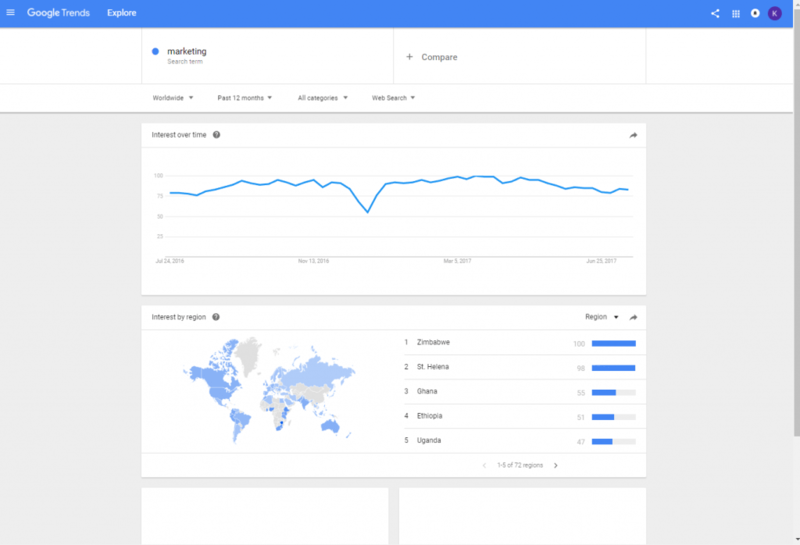 And as the name Google Trends suggests, the interest overtime (and by geographic location) can help you garner insight into what’s popular and where in the world your audience is. Like Google Trends, this technically isn’t a topic generator, but rather a collection of all the hot topics currently circulating the internet. From science to fashion to religion, it covers basically any topic you can think of. The homepage is a great place to skim for vague topic ideas, but you can get more specific by using the search tool. We searched “web design,” and a list of related keywords pops up for you to search (in alphabetical order for easy navigation). 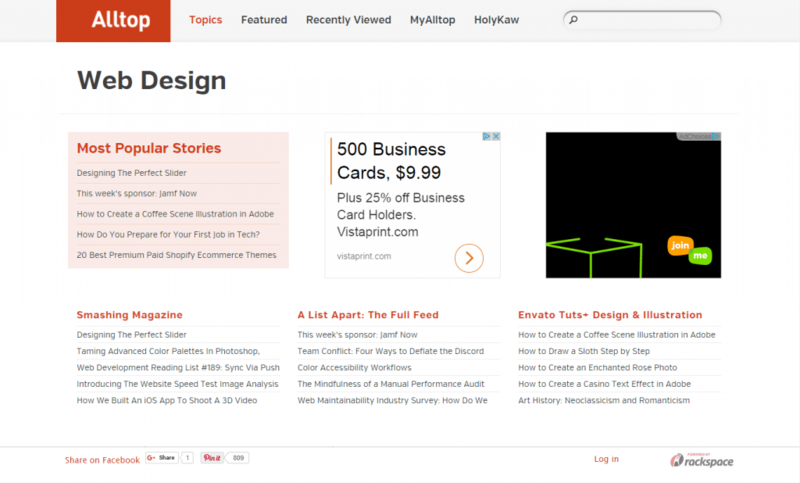 Alltop also has “Featured” and “Recently Viewed” tabs that give you insight on what blogs and articles are most popular. If you search something and then click on either of the aforementioned tabs, the results will be narrowed down to your specific topic, too. We understand that constantly coming up with new blog topics can be draining. However, don’t be afraid to get a little help. The internet is home to many tools that can help inspire you when your creativity starts to wane. If there are tools you’ve used that we’ve left out, be sure to let us know in the comments. Happy blogging! Next Post (n) What Do Customers Really Want?